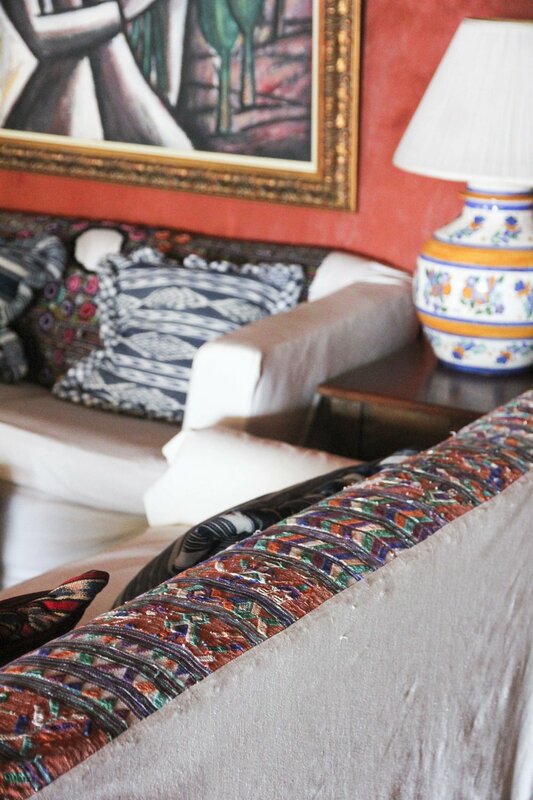 Bring a Columbian Style into your home! W E A R E I N S A N T A M A R T A , C O L O M B I A ! 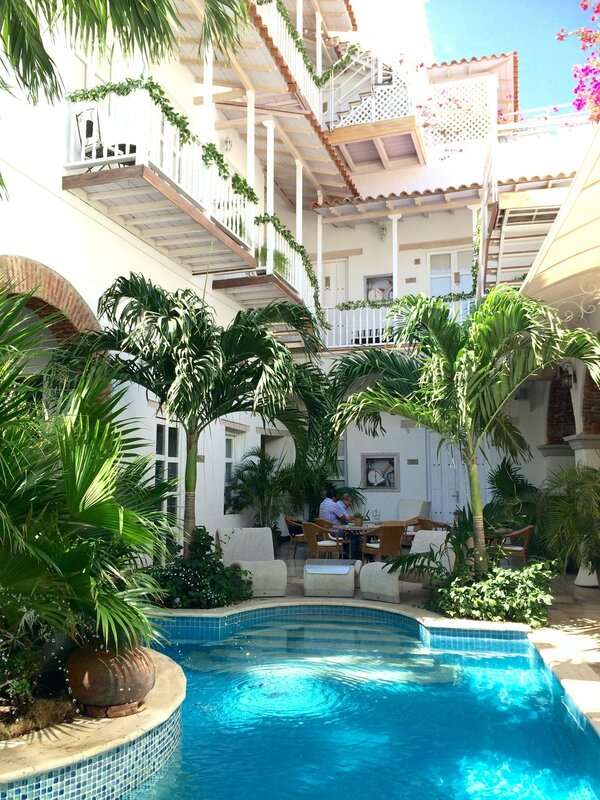 This week we take a look at Hotel Don Pepe located in Santa Marta, Colombia. that are still intact. These elements have been reclaimed to enhance their relevance for today. 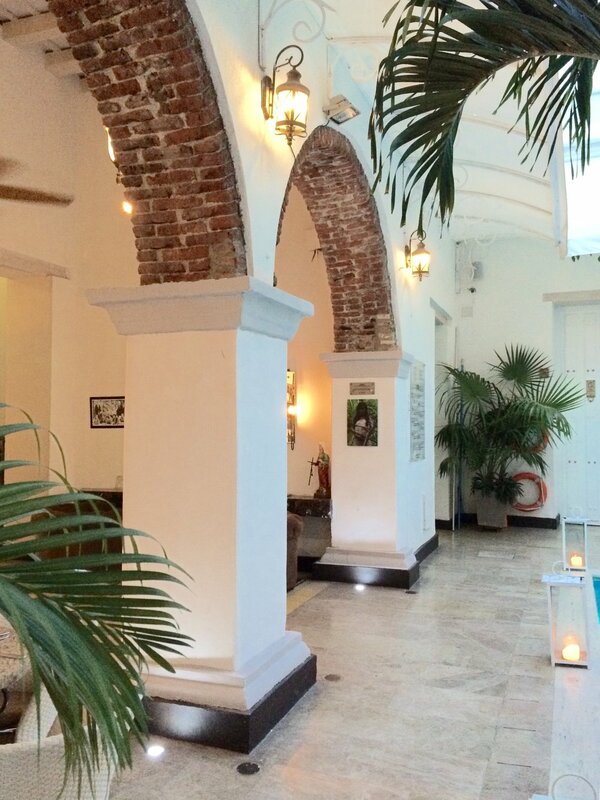 Hotel Don Pepe is made up of both original brickwork and tiles, as well as modern materials that make sure it stays true to the city’s colonial heritage. Georgia’s favourite design elements at Hotel Don Pepe- White, white and more white. What brings the different textured elements together are the tonal whites that cover many aspects from the travertine floors to the white painted walls, and to the white washed timbers. The white keeps the space looking fresh and unique, and when juxtaposed to the original brick the space looks amazing. 1. 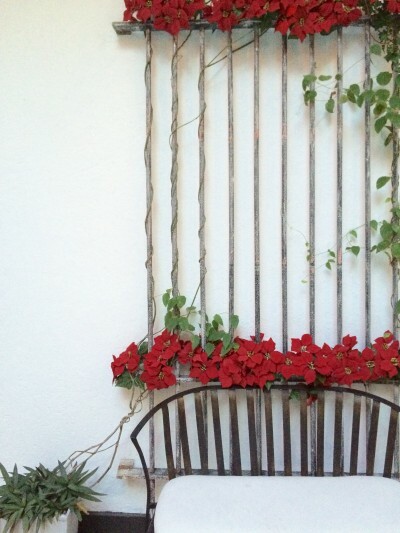 Plaster your walls with a rippling effect and paint them white. The texture keeps it interesting, and you can never go wrong with a classic white coat of paint. 2. Expose the lintels above your doorways. Lintels or archways can be what gives a space its own individual identity, so show them off! Paint or add a white wash to the surrounding timber to keep the the colour scheme consistent. 3. Use indoor plants such as palm trees to bring in some colour and help the space look lived in. Plants always help a home look homely. 4. Tilesofezra have a fabulous in stock floor tile range, create interest intrigue and an exotic result via floor tiles! 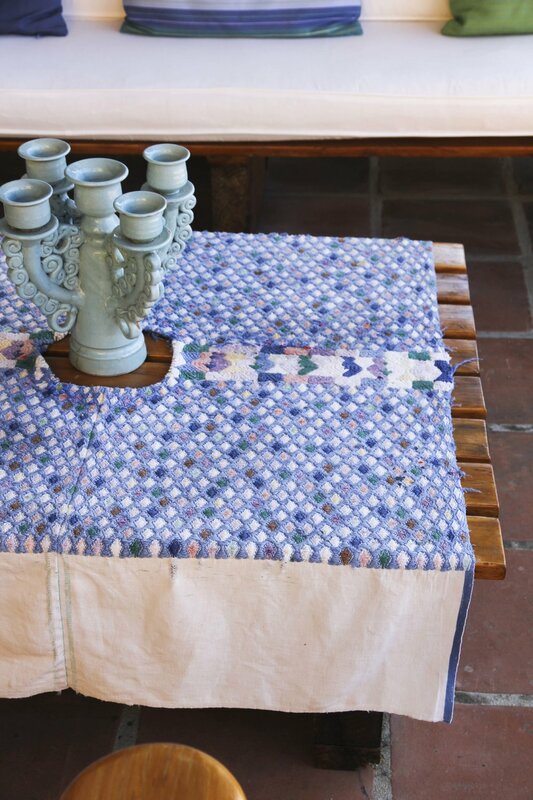 How to recreate this homely hotel in Guatemala! Lake Atitlan is located in the Guatemalan Highlands in northern Guatemala, and is one of the most picturesque sights in South America. The lake is surrounded by three massive volcanoes, that look over the people and landscape surrounding the lake. Casa Palopo looks out over the lake alongside the volcanoes and hills, watching on as the inhabitants base their every day lives around the water. The fisherman launch their rafts off the bank and throw out their nets, while others kneel at the lake’s edge and delve their washing into the cool water’s shore. 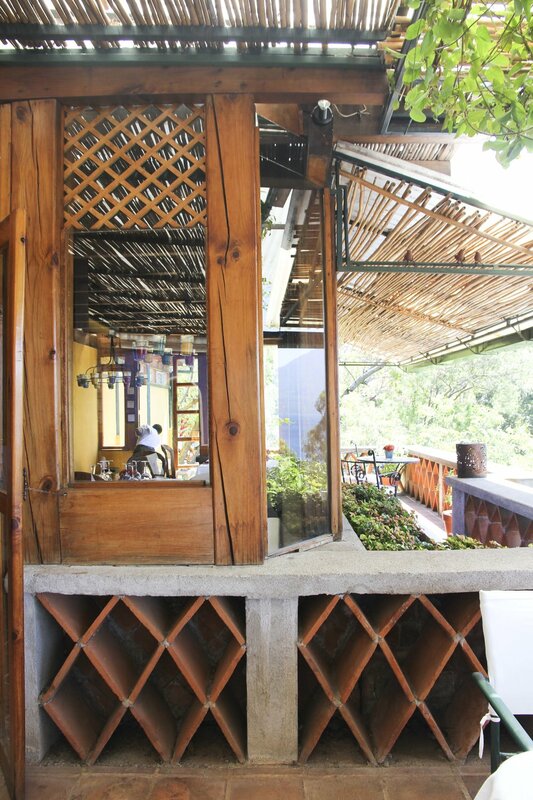 Casa Palopo was recently converted into a luxurious hotel, and has given visitors the chance to feel completely at home amongst the volcanoes and the lake. The homey hotel is rich with colour and textures, using terracotta tiles and colours, and contrasting them with a rich blue that makes reference to the beautiful lake just outside the windows. 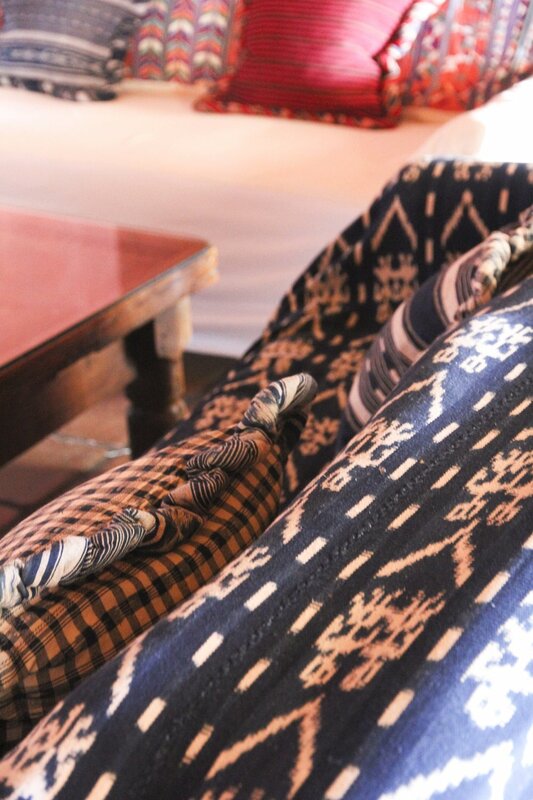 Antiques and authentic fabrics, as well as the dark woods and the warmth from the fireplace all add to the homey charm of this historically rich hotel. Georgia’s favourite design elements at Casa Palopo – the bold blue feature walls are a constant reminder of the beauty that lies outside. It also adds to the warmth of the homey hotel, and provides a colourful backdrop for all of the antique fittings and fixtures. 1. Don’t be afraid to commit to a bold feature colour scheme throughout an interior. If it makes a statement you love then why not make it one that you say over again. Adding colour to the walls makes for a vibrant backdrop and helps to bring darker furnishings to life. 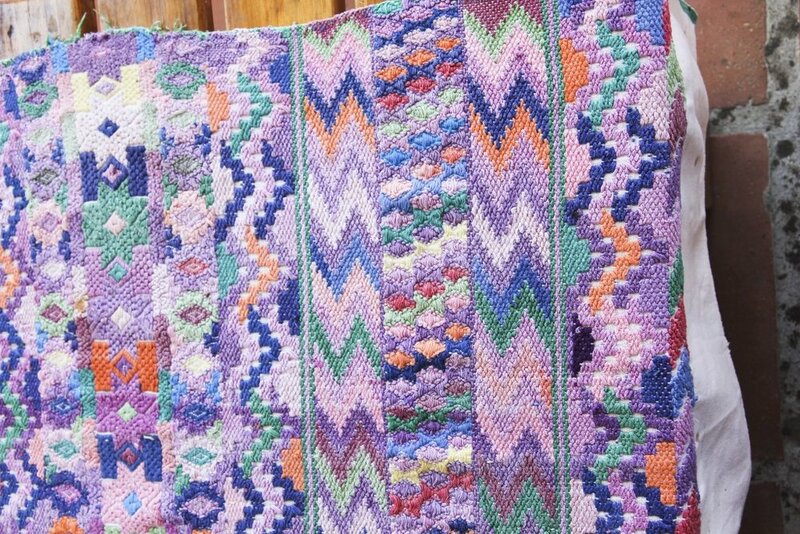 How to bring Guatemala into your home! We are in La Antigua, Guatemala! 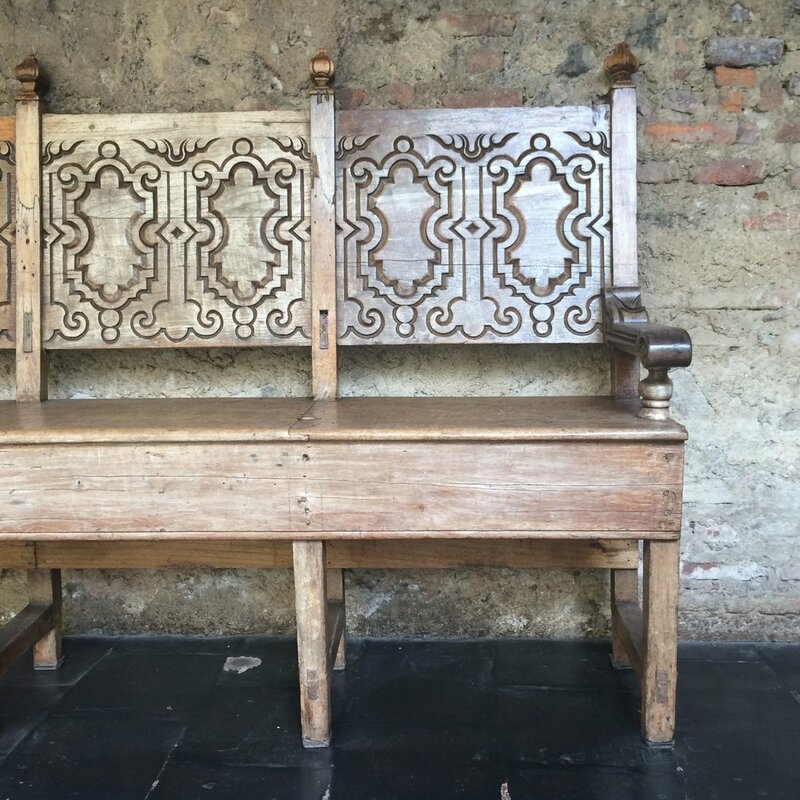 Casa Santa Domingo is in the heart of La Antigua, Guatemala, a beautiful city littered with magnificent colonial ruins and oozing with Spanish Baroque influence. The architecture here is rich with stoneworks and pastel facades and the archways and intricate details of the churches romanticise the city for locals and visitors alike. The whole city has been listed as a World Heritage Sight, signifying the cultural importance of its architecture. 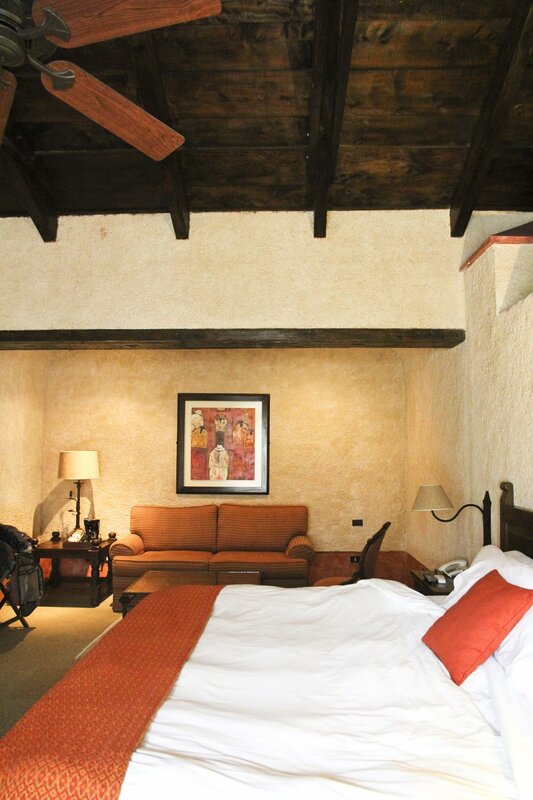 At Casa Santa Domingo the style of the city carries through this 128 room hotel. 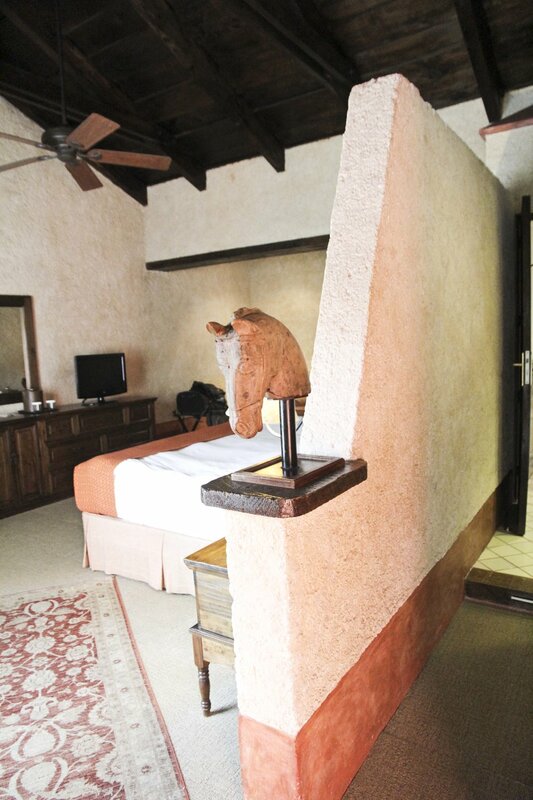 Each room mixes pieces from local and historic Guatemalan fine artists with handmade textiles and traditional contemporary designs. Throughout the hotel you are lulled into relaxation by the sounds of the beautiful stonework water features around every corner. Georgia’s favourite design elements at Casa Santa Domingo– the beautiful water features that are imbedded in the ruin walls and blend with the greenery that crawls up the walls. 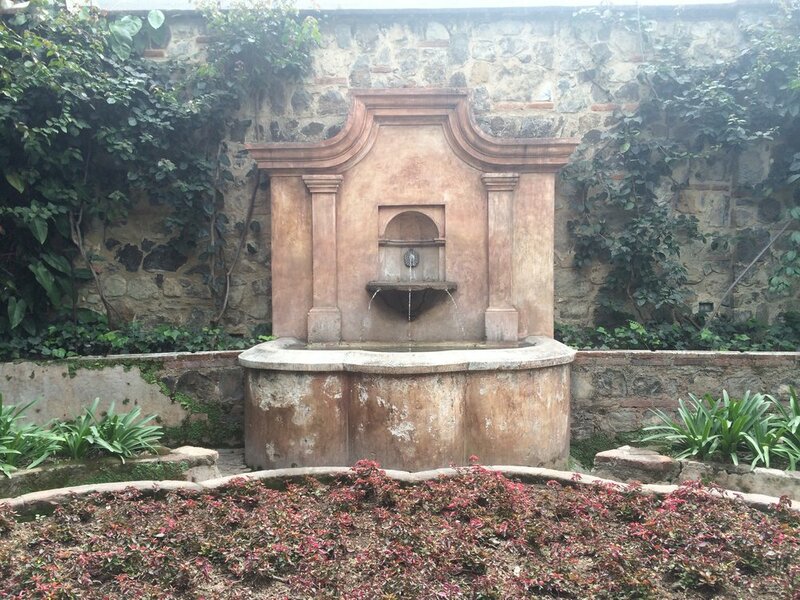 Subtly entrenched in the walls of various courtyards the water features are an intricate hero of the hotel. 1. Don’t be afraid to mix up your textures. Use brick, tiles and stonework together to create an intricate and personal design that will help give the space it’s own personality. Of course you should be careful not to over do it, but layering up textures can make for an interesting and hugely individual space with its own unique charm. 2. 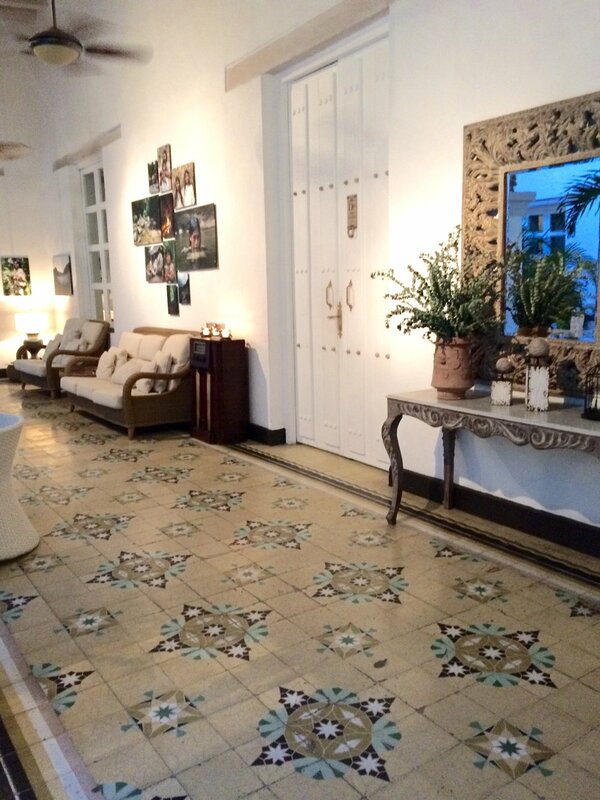 Use a Terracotta or clay tile for your flooring! TILESOFEZRA has a gorgeous terracotta brick tile - FL005 - which works perfectly as a floor or wall tile surface, Richie and I even used this tile in our very own bathroom.. so I first hand can say how much I love this tile! Whats better is that I hold it in stock!